We’re so appreciative of our volunteers and interns! 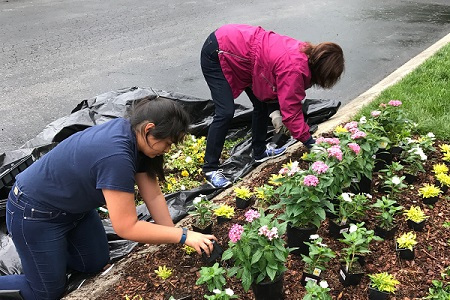 We are blessed by your willingness to volunteer at Mercy Multiplied and serve alongside us as we provide a program committed to transforming lives and restoring hope. We have three categories of volunteers at Mercy: corporate volunteers, home volunteers, and interns. Individuals: Please read through the information for the type of volunteer category you are interested in, and submit the accompanying application. Groups: If you are interested in your group volunteering with Mercy, please contact us at volunteer@mercymultiplied.com to find out how you can help! All group volunteer projects are pre-arranged based on our needs and supervised by a staff member at all times. Run for Mercy: Please click here for more information on volunteering at a Run for Mercy 5K and Family Walk. Age Requirements: The minimum age for volunteers at our corporate office is 16. Volunteers under the age of 18 are required to have an adult accompany them for projects or a waiver signed by a parent/guardian. Those volunteers interested in serving in a home and interns at any location must be 18 or older. *If you have a skill or talent you would like to share with our residents on an ongoing basis, or even for one time (art night, spa night, etc. ), please contact us for more information. We have unpaid internships at our Corporate Headquarters. 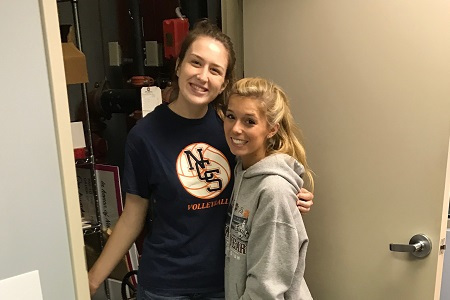 An internship with Mercy Multiplied provides the opportunity for individuals to gain experience and hands-on training, as well as academic credit, if requested. Our internship opportunities vary throughout the year, and we are always accepting applications. Read one intern’s recap article on her experience serving at Mercy. If you are interested in interning with Mercy, please download and complete the Intern Application and return to us at volunteer@mercymultiplied.com. NOTE: You must download and save the application before filling it out. After it’s completed, save again and submit as an email attachment. This application is only editable through programs that read PDFs. If you have trouble filling in fields, please contact volunteer@mercymultiplied.com, and we will email you an application. Thank you! When you volunteer at Mercy Multiplied, you’re helping change lives! Thank you!